The A-list-loved venue on the Sunset Strip has thrown out the black interiors and velvet seating for peach walls and plenty of greenery — but not to worry, the iconic puppet shows will remain. 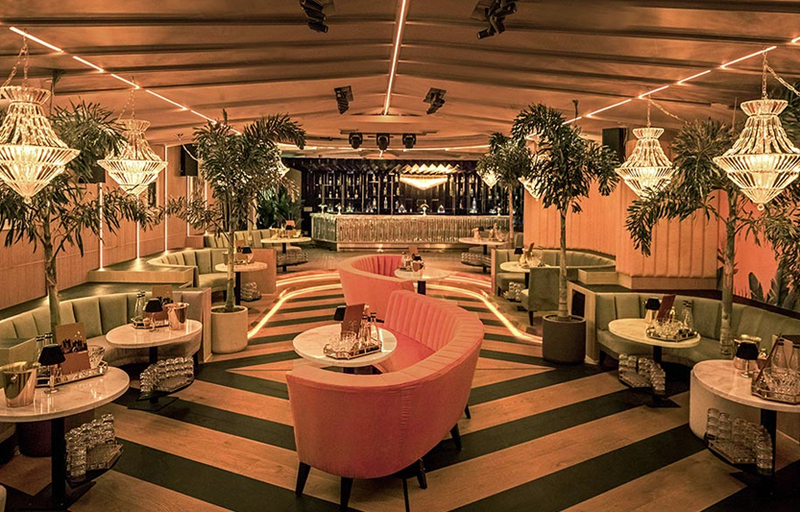 The Rat Pack is back at Bootsy Bellows, but with a new look. The former rendition — an old Hollywood, dimly-lit burlesque nightclub — has been replaced by a summertime escape mirroring Frank Sinatra’s 1940s Palm Springs home. The star-loved venue on the Sunset Strip has thrown out the black interiors and velvet seating for peach walls, pastel couches and plenty of greenery — but not to worry, the iconic puppet shows will remain. 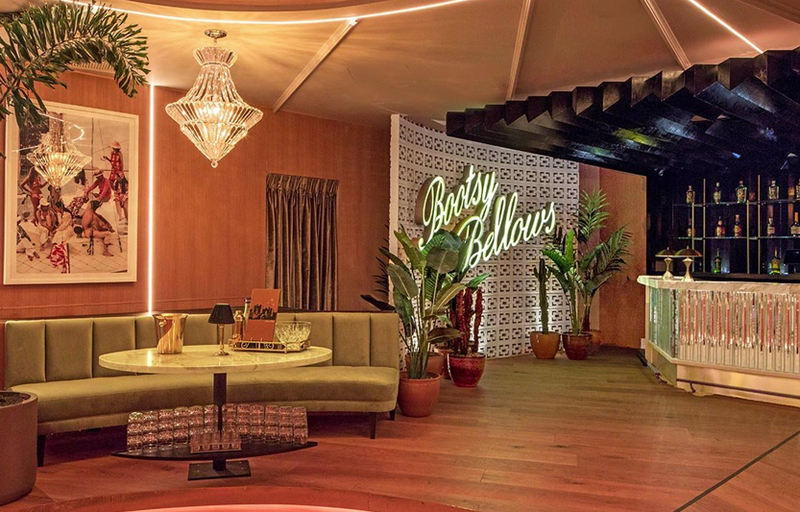 Co-owned by H.Wood Group’s John Terzian and Brian Toll, and star David Arquette, Bootsy Bellows has been an L.A. nightlife staple since it entered the scene in 2012, and has been under renovations since August 2018 with John Sofio of Built, Inc. to design and bring the revamped space to life, this time with a more homey aesthetic. A decked-out residence, at that. Drake’s personal sound guy was brought in to work on the DJ booth and speakers, embedded LED lights were added to the walls and ceilings to put on custom light shows, and gone is the signature VIP room that once welcomed Hollywood’s biggest names. That decision, is in part, thanks to the social media culture of 2019. Having a partner in Arquette has also been advantageous to the club, which is named after the actor’s late mother Mardi, a former burlesque dancer who died in 1997 of breast cancer. 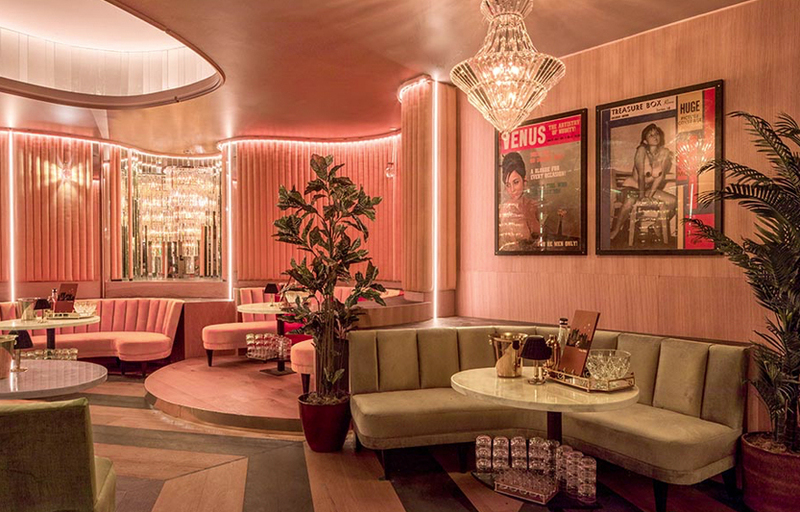 Arquette told THR that he is “thrilled to show the world the evolution of Bootsy Bellows,” and Terzian and Toll revealed that much of the Sinatra-centered art on the walls at the nightclub is from Arquette’s personal collection. Since entering the scene with Bootsy almost seven years ago, Toll and Terzian’s H.Wood Group has expanded to venues including Hollywood beloved Delilah — which recently expanded to Wynn Las Vegas, The Nice Guy, Shorebar and Poppy, and the two will have 25 places by the end of the year. 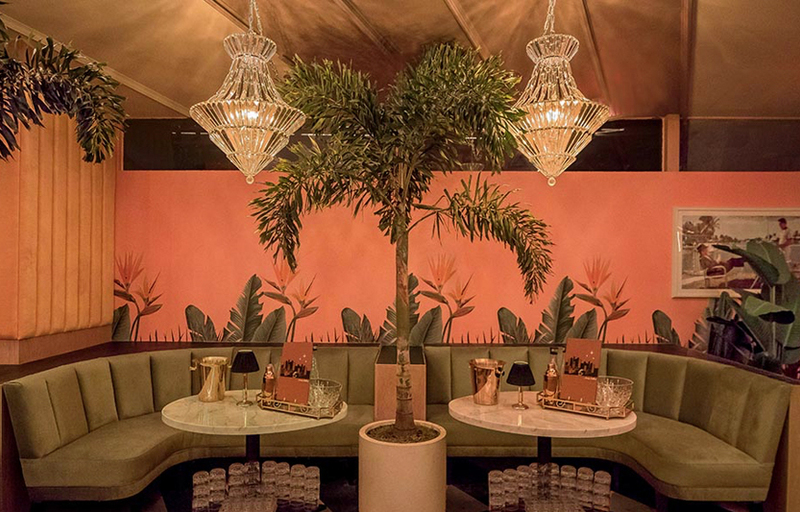 The Bootsy Bellows brand has also taken off, with off-shoots in Aspen and Dallas, and traveling pop-ups at Coachella and Nobu for Fourth of July. 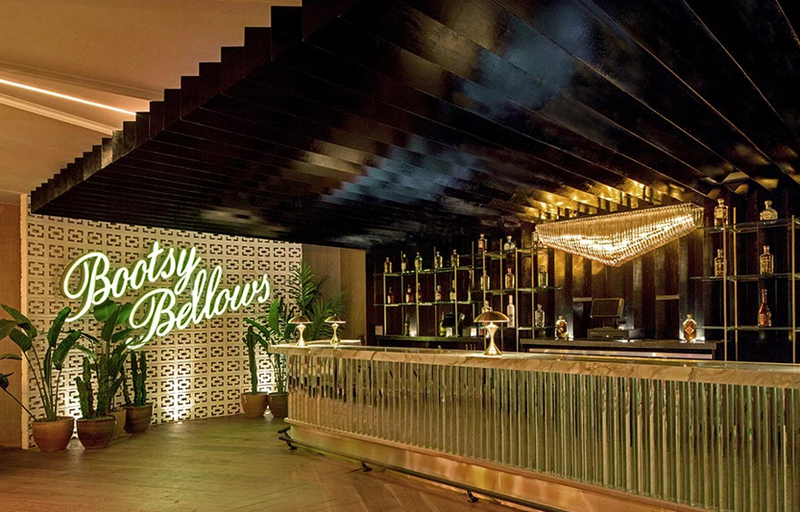 The revamped Bootsy Bellows opens its doors to the public on Friday, and hosted an early family and friends preview last week, welcoming Dave Chappelle and the Red Hot Chili Peppers’ Anthony Kiedis, among others. If you’re looking for celeb sightings, Bootsy is definitely the place to go. Bottle service here isn’t cheap but it’s pretty much the only way to get in if you’re a guy! There’s a VIP room in the back but you’ll need to get a wristband. Where is Bootsy Bellows located? Bootsy Bellows is in West Hollywood on the corner of Sunset and Doheny. How much is cover charge at Bootsy Bellows? Bootsy does not have general admission. You either need to get bottle service, or you’ll need to know someone. How long will I have to wait at Bootsy Bellows? Wait times are generally not that long because Bootsy does not have general admission. When is Bootsy Bellows open? Bootsy is open from 10:30 PM – 2 AM on Tuesdays, Fridays, and Saturdays. What are the best nights to go to Bootsy Bellows? If you’re looking for something to do on Tuesdays it’s definitely a good choice. Otherwise Fridays and Saturdays are also solid. What is the dress code at Bootsy Bellows? Collared shirt / jeans / dress shoes for guys. Avoid anything that can be considered sportswear (track jackets, jerseys, sneakers, hats, etc). Dress to impress! Is there parking near Bootsy Bellows? Valet at Bootsy Bellows is $8. Make sure to hide your valuables! How much do drinks cost at Bootsy Bellows? Bootsy often has special events with live performances. What kind of music do they play at Bootsy Bellows? Depends on the night, usually top 40 with a mix of hip hop/ house. Where can I find an list of upcoming events / DJs at Bootsy Bellows? You can download the Discotech app to see upcoming events and book tables for Bootsy Bellows. You can also visit Bootsy’s website for a current list of events.